The Dotted Line is one-stop shopping for all things wedding, with paper first and foremost. We specialize in custom invitation suites and bespoke accoutrement pieces that set the tone for the Big Day. From the save-the-date to wedding program to Sunday brunch invitation, we collaborate with our brides and grooms to design the perfect paper to shepherd their guests through the wedding weekend with style and ease. 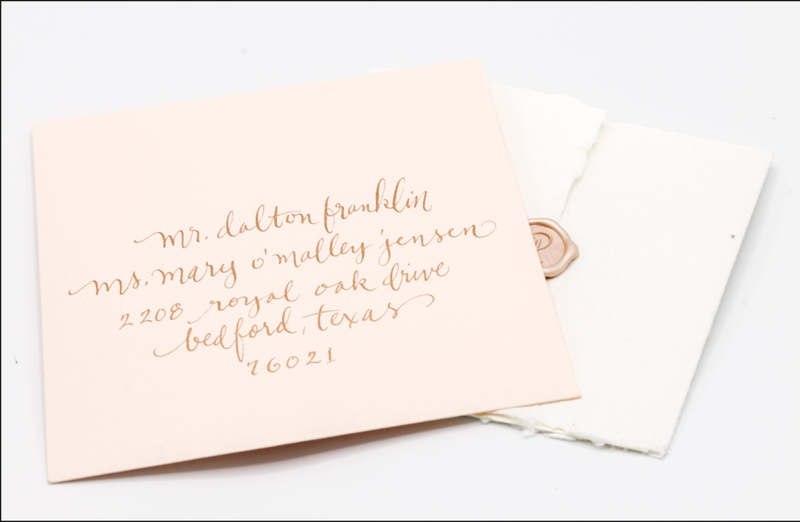 We love nothing more than creating the perfect stationery for your big day! If you can dream it, we can make it! While we're based in Nashville, we work with clients from all over the country. To set up a consult, please fill out the form below. We look forward to getting in touch...whether in person or via Skype! 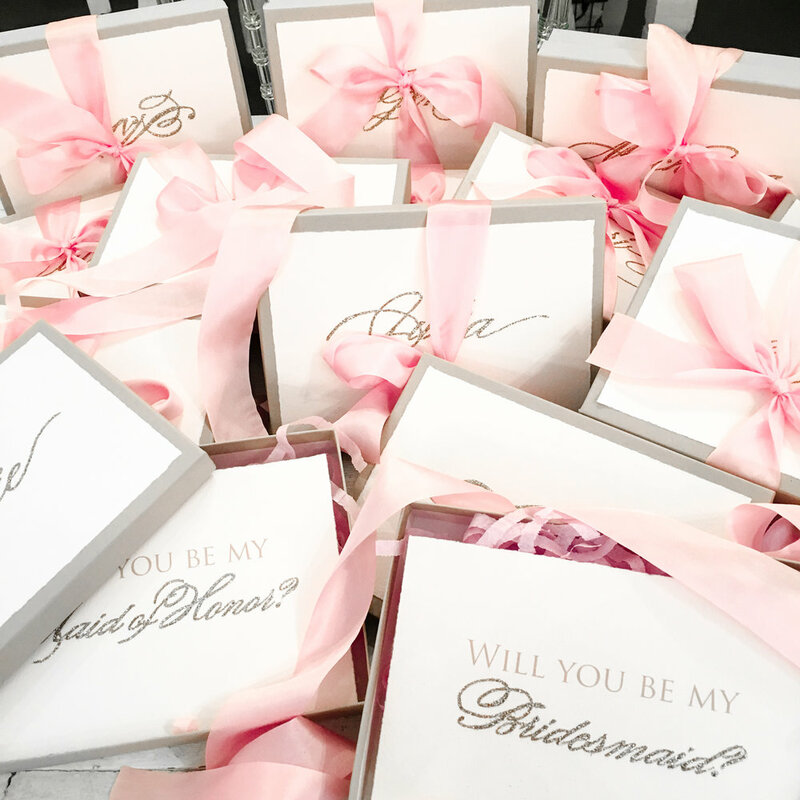 In addition to all of your paper needs, we love creating the perfect favors and welcome baskets for your wedding. 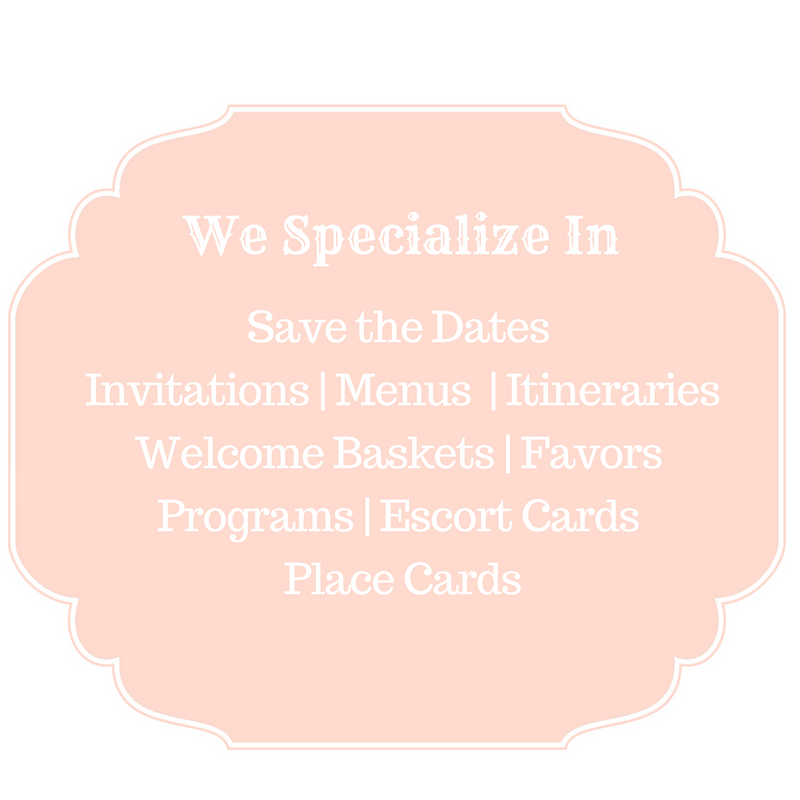 Let us create a gift that sets the tone for your special day!